On the week of December 15, 2014 the Crisalida team had the opportunity to met with Rosalva Campos, director of the Indio Teen Center, and also make connections with Joe Mota and folks from the Coachella Valley Housing Coalition. The Crisalida team got an in depth tour of the ITC thanks to Ms. Campos. Countless services are offered to youth school year round from weekday afternoons to evenings. Programs ranging from computer labs, graphic arts activities, arcade and billiard facilities, indoor boxing gym and classes, intergenerational activities with conjunction of the local Indio Senior Center, and a studio quality music recording studio available to youths 8th grade through 12th. Ms. Campos related to the Crisalida team that the ITC’s Boxing center is state of the art and open to all youth. It’s counterpart gym at the Indio Boy’s and Girls Club is more competitive and has the Diaz brothers, Ms. Campos related. Despite the more competitive nature and celebrity trainers, the ITC also has an experienced boxing trainer who is dedicated to training youth and providing athletic guidance to kids at the ITC. The team concluded the meeting with Ms. Campos by preliminarily setting dates for future engagement with the Crisalida and the ITC. David speculated that perhaps the program may find some “synergy” by actualizing one of our Storycorps inspired “Listening/StoryTelling” projects. 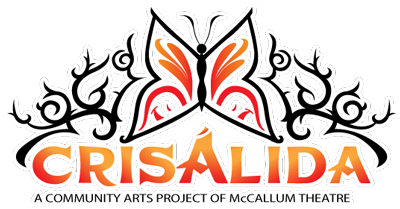 Another potential vehicle for collaboration that was speculated on was the assisting in connecting Mr. Venegas, the ITC’s music studio guru, with some of the local Hip-Hop artist the Crisalida program has befriended (RowLow, Mario A. Giant, AZ, etc.) in the past couple months since its inception and seeing what type of collaborations might develop through those relationships. David also suggested potentially organizing Crisalida art, literature, and music workshops at the ITC. The Crisalida team also had the opportunity to meet with Joe Mota, a local community leader, and a director at the Coachella Valley Housing Coalition (CVHC). The CVHC is a non-profit organization dedicated to helping less affluent families in need of housing to attain affordable shelter in state of the art housing facilities through the greater Coachella valley. Folks from the CVHC estimate that they serve up to 15 to 20 thousand individuals through their reach who otherwise would be homeless or significantly struggling to make ends meet when it comes to housing affordability. Mr. Mota shared that the CVHC organizes countless activities aimed at enriching the lives of the folks who participate in their housing program. The CVHC has housing centers throughout the Coachella valley where programs such at movies at the park, computer literacy, and youth/intergenerational art workshops/activities, are organized by the staff of the CVHC either within themselves or in councutions with outside individuals/organizations. David and Mr. Mota in conjunction with CVHC communications director, Nadia Villagran, speculated potential points of collaboration between the Crisalida project and activities that take place at the CVHC. The first preliminarily scheduled event between the two organizations was a film documentary by Crisalida of a toy drive held by CVHC youth where kids would deliver gifts to seniors living at CVHC facilities. Other points of collaboration included potentially a movies at the park Crisalida listening tent, and potential Crisalida art (youth, all ages, and/or intergenerational) workshops (and/or art exhibitions) to take place at some of the CVHC housing centers. Special thanks to Rosalva Campos, from the Indio Teen Center for courteously hosting and giving the Crisalida team a in-depth tour of their facility and thanks also to Joe Mota from the Coachella Valley Housing Coalition for sharing some of his time and providing the Crisalida project with opportunities to potentially collaborate with them in the future.